[dropcap]H[/dropcap]igh school students are no strangers to 3 a.m. There is a quiet hum in that time between night and day. Parents and younger siblings are asleep, and there is just the student, stacks of homework tearing out of their doodled-on folders and a crinkled chip bag or two. Perhaps, 20 years later, such a scene would seem peaceful or nostalgic even. But to the student still awake way past their bedtimes, it is simply suffering. In the midst of teenage angst and sleep deprivation, one can’t help questioning what is it all for? Mendez was a well-rounded student who balanced Advanced Placement (AP) classes, after school clubs and a job at Pancheros. While he wasn’t sure what he was working toward in high school, he is now getting the idea during his first year at the Moberly Area Community College. Mendez’s current predicament is not unheard of, 20 to 50 percent of students enter college as undecided, and 75 percent of students change their major at least once before graduation. Current junior, Audrey Milyo began high school with a similar situation to Mendez. Likewise, 15 percent of other high school students across the United States are unsure of their career plans, according to a Teens and Careers survey conducted in 2013 by Junior Achievement USA. According to a study by Joe Kotrlik and Betty Harrison, teachers have a significant impact over student career plans, even over that of counselors. With the help of her engineering teachers and physics teacher, Milyo had discovered a potential career path in engineering. “I plan on going to a college with a good engineering school and then seeing where it takes me,” Milyo said. A survey conducted by YouthTruth in 2015 revealed that only 44.8 percent of students felt confident about their college and career plans. 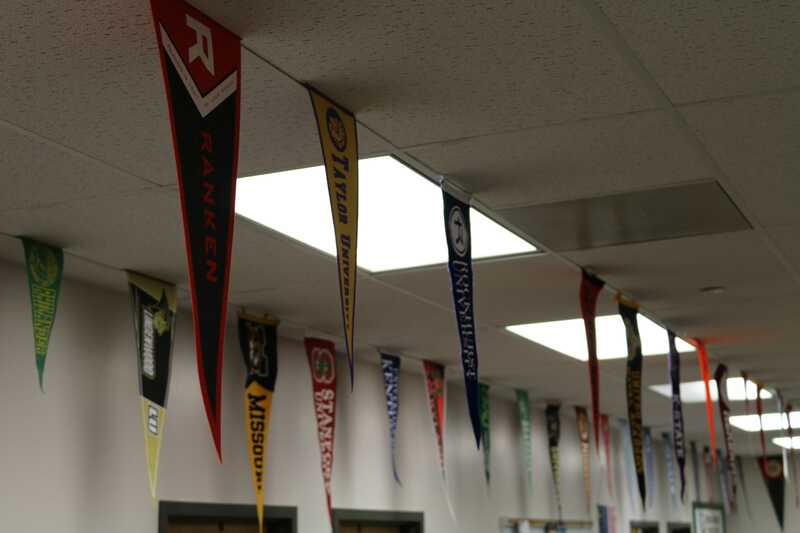 In order to counter this, RBHS counselors set up various events, including a career fair every other year and college visits to help students with the arduous task of career planning. Jones believes counselors have the greatest influence on students’ career paths. In addition, counselors work with students individually as they plan for their senior year. For the typical 87 percent of students that graduate and the 80 percent of them that attend college, counselors are vital to the application process. However, students such as sophomore Louise Schul, who are unsure of their post-graduate paths, find these resources unhelpful. While counselors guide students through career exploration, sophomores use the career planning website Missouri Connections. Schul finds the website’s questionnaire style for career searching to be impersonal. In truth, Schul and her fellow students have a long time before they need to know what they want to do. College majors generally do not have to be sealed until junior year, and career plans can change at essentially anytime. But as many students believe, it never hurts to be prepared. Milyo, who attended the mandatory junior conference with her counselor this month, has an idea of her future planned out and has taken the first steps towards it. But she still has reservations. As the school year draws towards an end, the approaching future forces juniors like Milyo to think more concisely about their post-graduate plans, while supporting the pressure of standardized testing and upping their GPA one last time. Looking back, Mendez felt he would have done a few things differently. “I would have definitely been a lot more talkative and outgoing and would’ve gotten to know more teachers,” Mendez said. The future is a pressing topic for students, proven by the frequent topic of college applications, internships and ACTs. Strangely enough, it is in thinking ahead that students often forget it’s only high school, and there are still years to go after graduation. Do you have college plans? Let us know in the comments below.